Considerably reduce your washing up labour and bills with these Paper Plates. Suited to a wide range of activities and functions, each one has been made of a durable card material in versatile white to blend it with existing cutlery. The slight dip at the centre keeps food in place with a textured border that stops over full plates slipping out of your hands. The 7" design is ideal for smaller meals - including starters or deserts - and the disposable nature means they can be thrown away immediately after use. From picnics, parties and even during Arts & Crafts, these versatile plates come in a large and economical 250 pack size which can be stored aside until needed for convenience. 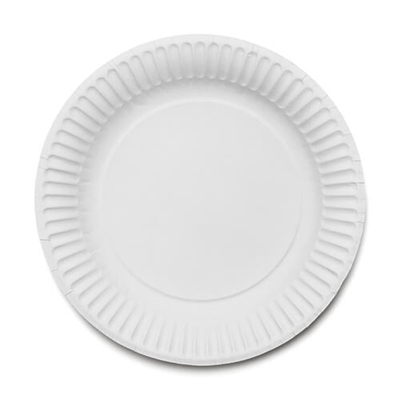 We also stock these handy plates in a 9" pack of 250 - for larger meals or more creative crafting sessions.